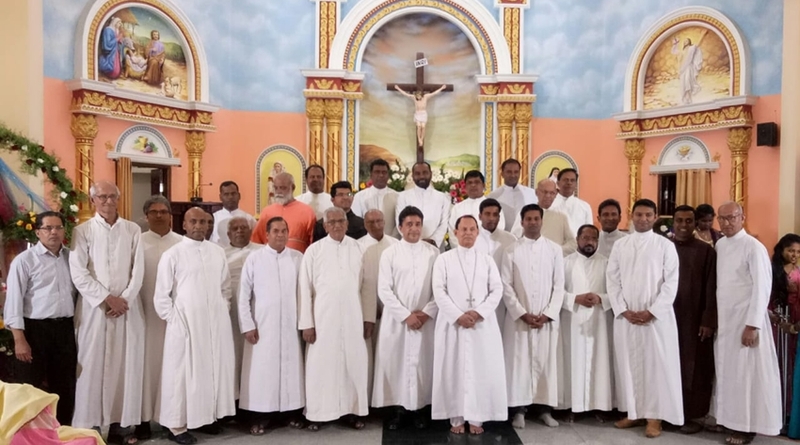 KOPPAL, JAN 27, 2019: Silver Jubilee of St. Francis De Sales Church Koppal Mission was celebrated with solemnity and joy on Sunday, January, 27. A large number of priests, religious and lay faithful gathered joyfully and enthusiastically joined the jubilee celebrations. Bishop of Bellary, Henry D'Souza presided over the thanksgiving jubilee Mass. Bishop D'Souza thanked God for the laudable work done by the MSFS Fathers in the pastoral field and education apostolate. He insisted on sharing the Joy of the Gospel with greater vision and commitment. "The best gift we can give to people, is Jesus", he in declared. Bishop appreciated the pastoral and educational ministry done to the people of Koppal and Kukkanoor which is predominantly a Hindu community ever since MSFS Fathers have taken up the mission. Bishop also thanked the Provincial, Fr. Sebastian Cornad MSFS, the Rector of the MSFS community and parish priest of St. Francis De Sales Church in Koppal and Frs. Binoy, Saji and Jais MSFS for their dedicated services at Koppal Mission. Fr. Benny Koottanal, South West Provincial Superior was present at the occasion. He gratefully recalled how the good Lord was present in the struggles and difficulties the pioneers of Koppal Mission underwent with great faith and dedication. Rev. Fr. Thomas Cherukat, Former Provincial, South west India Province, Former Parish Priests, Diocesan Priests from different corners and many other confreres were present at the occasion. Coincidently Fr. Sebastian Cornad was the pioneer who landed here in Koppal twenty five years ago, who is also the present parish priest of the church. Then he was staying at Munirabad parish and ministering at Koppal. 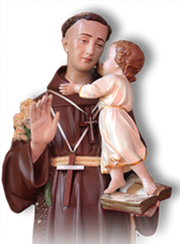 The Church in Koppal is dedicated to St. Francis de Sales the heavenly patron of MSFS Fathers. Koppal Mission was formally inaugurated on 9 August 1994, by Fr. Vincent Rodrigues, the then Vicar General of the Diocese of Bellary. The MSFS established a community home and a school and a boarding. On 25 November 1995, The Superior General of MSFS blessed the newly built multipurpose hall. An English medium school was started in June 1995. Today this is one of the most sought after school in Koppal district due to qualitative education the students receive here. The whole of Koppal taluka was entrusted to the MSFS in the year 1996 by Bishop Joseph D'Silva, the third bishop of Bellary. There were several MSFS missionary priests serving the diocese of Bellary in Raichur and Bellary district mission stations in the seventies. On 24 August 1997, a presbytery and 8 houses for the poor Catholic families were blessed by Bishop Joseph D'Silva and Fr. Sebastian Cornad msfs was appointed as the first parish priest. The present beautiful church was constructed under the leadership of Fr. Tomy Mullacherril msfs and blessed by Bishop Henry D'Souza and inaugurated by Provincial Fr. Benny msfs on 28 Jan. 2016. There are around 100 Catholics are there in Koppal. In 1995, MSFS Fathers started MSFS Mission in Kukkanoor and Fr. Joshy Thazethukunnel started the mission in 2002. Fr. Jebamalai msfs was appointed as the residence priest in 2004 and he started an English medium School to cater the people of Kukkanoor. At present Fr. Aloysious MSFS is the Parish priest and the principal. Fr. Sebastian Cornad msfs, thanked all those present and recalled the pioneers who nourished the faith of the people.